Cape Cod Map of Cape Cod towns, streets and Cape Cod traffic. 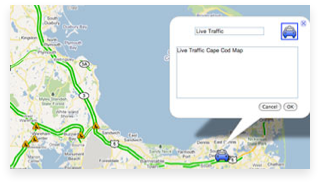 Live Traffic - See up-to-date I 95 traffic conditions on Cape Cod map to help you plan your route. Terrain - See geographical and topographical details on map of Cape Cod. Bicycling - Find the best bike trails in Cape Cod towns. 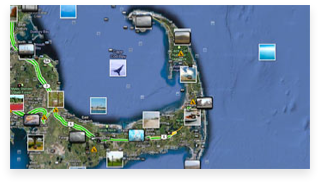 Enjoy Cape Cod map, our cape cod vacation rentals deals and cape cod beaches. FREE printable Cape Cod map.